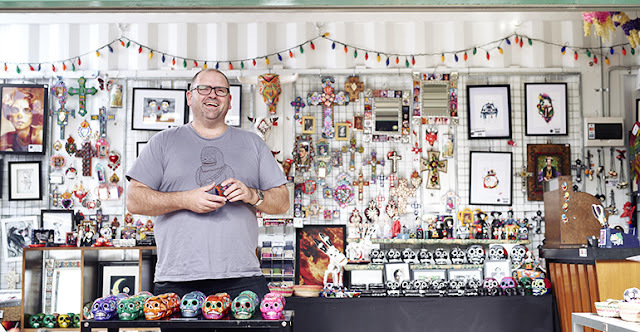 An article in the South China Morning Post identifies the 9 best food markets in the world including of course our own Queen Victoria Market, but there were a few non-food mentions including Viva La Calavera. 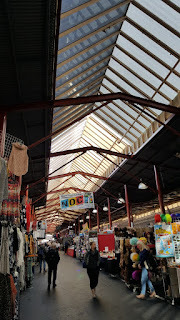 "Aptly housed in Victorian architecture, the “Queen Vic Market” is the largest open-air market in the Southern Hemisphere, and is proud to be a plastic bag- and straw-free establishment. Boasting more than 600 small businesses, the market is especially known for its historic meat, fish and dairy halls. Beyond that, you can buy novelty items (ceramic Day of the Dead skulls, anyone? ), cute souvenirs, delicious gelato, pop culture art pieces and even enjoy a glass of wine made from locally grown grapes. Not sure where to start? Sign up for one of its two-hour walking tours." SBA intrigue - Apparently some traders who have applied for a container in SBA have been called in for first interviews in the coming week. There will no doubt be intense interest in this process. Easter can be a strong trading period and there was a real disparity in reports on Easter Saturday from the Upper Market with some very good sales results and some very poor ones. 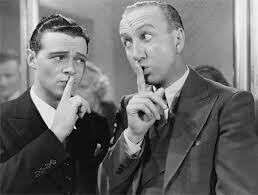 As one trader said “There are no rules during an election, particularly a federal one. Elections just play with people’s minds too much.” Sunday seemed to produce better results for most traders. Speaking of campaigns, perhaps some politicians could learn from traders when it comes to publicity. A few traders being asked to move their stalls has gained prime reading space in the Herald Sun over the weekend. Wednesday nights second Europa Market saw long queues again at the food stalls and inevitable comparison between that night’s Russian theme and the Italian theme of the first night. The atmosphere created by the Italian night may just have the edge according to some traders with the travelling Piano Accordionist creating a nice touch. 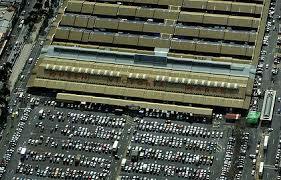 A trader asks if others have noticed the sudden proliferation of cool stores in A and B sheds. Each trader seems to have their own facility. 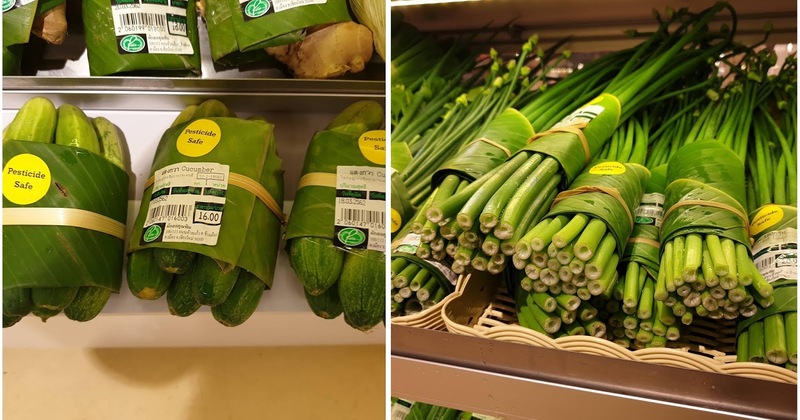 A trader said that Easter had brought him an unprecedented cross section of customers - tourists from all over the world, but particularly USA and Hong Kong, lots of locals including some who hadn't been to the market for years, and lots of students with their families. The combination of Easter, school holidays, ANZAC Day, and perhaps some travel deals has created a huge variety of customers in our market. A number of our traders use social media very effectively but one has just started adding photographs of his customers to his business Facebook page. If a customer asks to take a photo in his stall he says "Yes", but then asks if he can photograph them for his Facebook page. So far the response has been 100% positive and most recently resulted in Facebook communication with the customer. 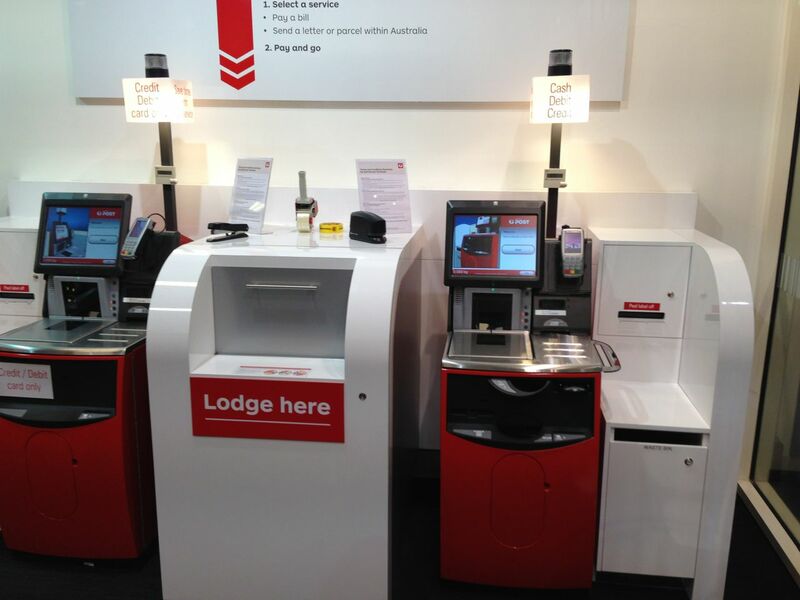 Trader, JLP Melbourne, has logged many customer photos on Facebook and their experience is that customers love the exchange. QVM Management proposed a 4:00pm finish on Thursday before the Good Friday Holiday and that made a lot of sense to traders who were keen to wring every dollar out of a holiday/tourist time. The intent was very positive but when some traders decided to bring their boxes into the aisles at the normal 2:00 pm closing time it just killed the mood. One trader sighed "One day we might just get this right." Trading Hours - A trader has pointed out that last minute changes to trading arrangements can be difficult to accommodate, and he is correct. The item headed "QVM Management proposed a 4:00pm finish on Thursday" was not just aimed at those traders who brought boxes in to the market at 2:00 pm but also at our ongoing inability to address trading hour issues at QVM. Fortunately, management is considering that very issue right now and if the notes from the last Committee of Trustees meeting are a guide (see article here) we can expect a phasing in of more appropriate hours that will address changing consumer trends in a more structured way. It is a difficult one because no one solution is going to please all traders. But there appears to be universal agreement that we can do better with our hours and our communication to customers. Watch this space. - Ed. 1. NRA backs plastic bag ban. 2. Nestle makes big move in plant based meat market. 3. Ikea to open first small format store in Sydney in May. 4. Woolworths and Aldi increase market share while Coles and IGA go back a little. 5. Woolworths expands its “on demand” delivery service. 6. Private investment firm takes over control of Napoleon Perdis cosmetics group. 7. Debenhams goes into administration. 8. Walmart hires army of robots for some basic store functions. 9. Google’s first delivery drone gets go ahead in Australia. 10. Mountain Designs re-launches its online offer with help from Anaconda. 11. Levis plan to open 100 new stores in US this year. 12. Oxfam is closing its retail, wholesale, and e-commerce operations. 13. Uniqlo cuts outlook following heavy discounting. 14. Darrell Lea to relaunch Lifesavers sweets brand in Australia. 15. Beauty giant, Mecca, opens 100th Australian/NZ store in Adelaide. 16. Appliance discounter, 2nds World, falls into liquidation. 17. 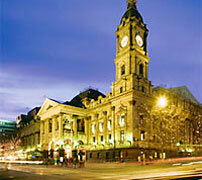 David Jones publishes supplier list as part of its sustainability commitment. 18. Retail crime causes supermarkets to tighten up cash register exits. 19. Radio Rentals closing all stores in South Australia. At its meeting on 9th April the following key strategic issues were considered by the Committee of Trustees. • The Committee discussed the development of a Charter to guide the uses and design of Market Square. • The Committee is excited about the opportunity Market Square represents for the market precinct and broader community. • It advised that the uses should bring more customers to the market and complement trading, and supported arts, culture and daily activity uses. • It noted this space would service 24,000 new residents expected over the next two decades and help activate the north of the City in new ways. • The Committee advised smoothing operating hours to make it manageable for traders and easier for the public would be welcomed. • It supported a transition in two stages: initial reposition and smooth hours for first year. Further refinement in following years as customer demands evolve. • The Committee advised QVM that providing traders with clarity, certainty, goodwill and transparency as important. • It supported lease timeframe options that are relative to coinvestment commitment. • It also supported staggering of licence and licensing renewal process, having regard to the staging of renewal works and beyond. 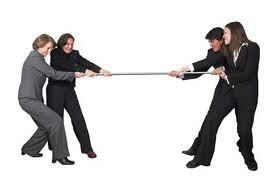 • It noted that flexibility and adaptability is also an important offering for start-up business. The Queen Victoria Market Committee of Trustees (Committee) provides the highest source of strategic advice to the Melbourne City Council (Council) on both the Queen Victoria Market Precinct Renewal Program (QVMRP) and Queen Victoria Market (‘QVM’) operations. 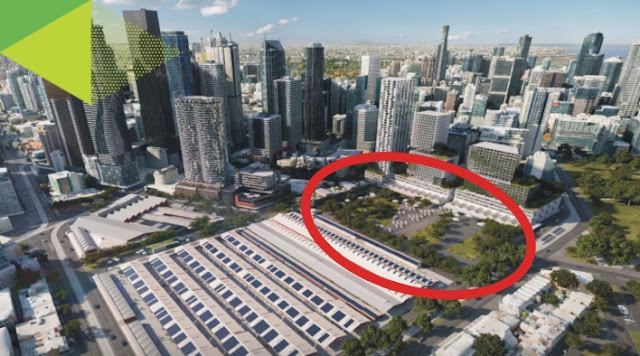 Queen Victoria Market traders are angry at being booted out of prized stall sites where ... QUEEN VICTORIA MARKET REVAMP PLANS REVEALED. ... anomalies including the 60kmh zones in busy pedestrian areas near the city such as on Victoria and Peel streets near the Queen Victoria Market. In a sea of fabulous seafood stalls at the Queen Vic Market, Happy Tuna always stands out for its fresh fish and excellent advice on how to cook it. 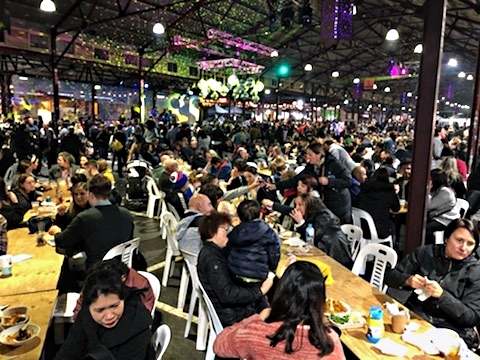 The Friends of Queen Victoria Market said the state protection would bring it in line with the borders under the national protection announced last July. ... end to slaughterhouses, and comes after hundreds of animal rights activists rallied on Saturday outside Queen Victoria Market, also in Melbourne. ... of animal rights activists rallied on Saturday, as part of a global protest, calling for an end to slaughterhouses outside Queen Victoria Market.